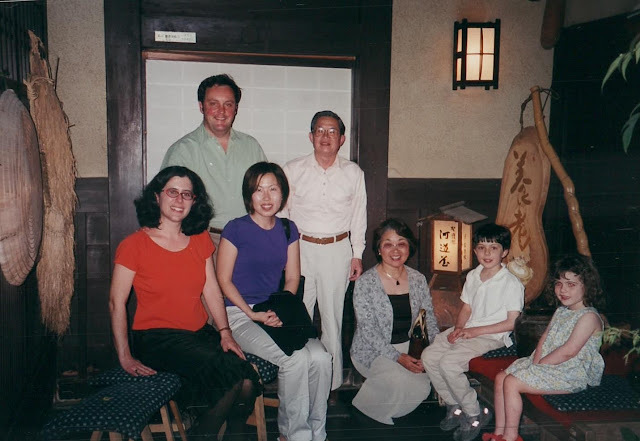 After my first year of college, my family visited Japan and Hong Kong. 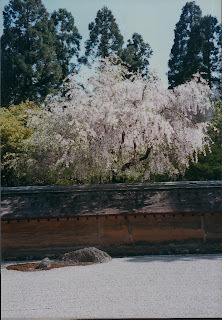 I'd taken a couple of courses on Japan and written a term paper on Japanese gardens. Even so, I was not prepared for the beauty of the gardens and temples. I vowed to return in cherry blossom season, and I did, this time with my own children. My husband teaches Asian Studies and Government at Bowdoin College and was granted a sabbatical in Japan. It was a magical experience. We met up with my high school friend Terry Kawashima and my sister-in-law's parents (first photo). My brother worked as an architect for three years in Japan and met his wife there. 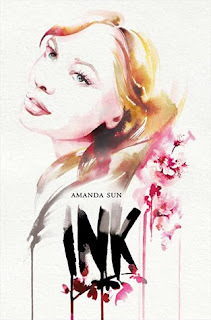 I'll be recommending Ink, a new young adult novel, to their 12-year-old daughter, as she loves fantasies and drawing. I think my 16-year-old daughter (the 3-year-old in the photo) would enjoy it too. Canadian author Amanda Sun merged her experience as an exchange student in Osaka with Japanese mythology to create her debut novel, Ink (June 2013). After her mom dies, sixteen-year-old Katie Greene is sent to live with her English teacher aunt in Shizuoka. As the only foreign student (presumably), she catches the eye of Tomohiro, the star of the school's kendo team. Tomo is also a skilled artist, but he hides his talent. His drawings have a bad habit of leaping off the page and attacking bystanders. One nearly killed his best friend. Yakuza gangsters and the kami paper gods vie for his allegiance. Katie fights to protect Tomo, but her presence only makes his power harder to control. Their star-crossed romance is Twilight remixed with Harold and the Purple Crayon. Not only is Ink a good story, it's a fine introduction to Japanese culture. The characters practice calligraphy, go to cram school and celebrate cherry blossom season. They also goof around and get into trouble like teens everywhere. The whimsical magical scenes, beautifully illustrated, draw as much on manga comics as on Japanese mythology. The fantastic is well balanced by a realistic sense of place. Katie is a sympathetic, likable protagonist who works hard to understand a foreign culture and to accommodate the new norms, often making embarrassing mistakes as she learns. As a former foreign exchange student and then manager of a foreign exchange program, I could relate to her experience. Japanese words are described in context and in a glossary. Sun does an excellent job of transporting readers to Japan without losing them. Although the Japanese part of the story was well developed, the American backstory was not. Katie's closest relatives are conveniently missing: her dad vanished (why? ), her mom died recently and her grandfather is fighting cancer. Her near-stranger aunt in Japan is the only well developed adult character. There is no mention of the friends Katie left behind or of her past life in NYC beyond ballet. Obviously she would miss her mom, but teens are mostly focused on their peers. It would have been extra-traumatic leaving them behind. The only friends mentioned are new ones and, like her facility with the difficult language, seem too easily acquired. We know nothing about Katie's romantic past either. Perhaps she doesn't have one. Katie is a bit immature, behaves awkwardly and doesn't know how to flirt so why do the two hottest guys fall for her? This question is semi-answered toward the end, and hopefully her background will be fleshed out later in The Paper Gods trilogy. The page-turner ending of Ink leaves the reader eager for more. "Clouds of shimmering dust encircled him, wisps of inky swirls that glinted in the sunlight. They curled in slow motion, spreading around him like waves of fireflies." 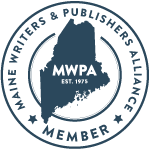 Reviewer's Disclaimer and Recommendations: I received a free digital galley from Harlequin Teen but was not compensated for my review. I flipped through the gorgeous paperback at Main Point Books, and I'd recommend buying a hardcopy from an indie bookstore. The cover image of Katie is far more glamorous than I imagined her, but Tomo's ink drawings were just right. The illustrations didn't look as good on my ereader and the glossary was harder to access. Although the action scenes are violent, the romance is quite innocent and would be fine for tweens as well as teens. Ink would crossover to adult fans of manga and of YA paranormal fiction. Ink was on my Good Summer Books list. Lovely family portrait Sarah and your photographs of Japan are beautiful. I have dreamed of visiting Kyoto especially. I have been very inspired by the culture, aesthetic and fine art of Japan for many years. How wonderful for you to have lived there with your children. I had heard about this title recently, so it was timely to read your review. I'm adding books to my Kindle for the beach next month so it's informative to learn that the illustrations did not translate as well to that format. Love the family shot - even at a young age, your kids look so well-behaved with their hands in their laps! What an experience that must have been for you to live in Japan. Thanks, this is one that will definitely interest my 18 year-old daughter who is an avid Japanophile. Carol, you would love Kyoto. Henry has lived in Japan, but I only spent a month there with the kids since his grant was limited. Henry and I are planning another sabbatical term there once the kids are in college a few years from now. Amanda, it’s possible that the illustrations look better in the published ebook. I read a digital galley before publication. Still, I’d recommend buying the hard copy since the paperback binding was gorgeous (and best for illustrations) and your purchase could help support an indie bookstore. Although, like you I prefer ebooks for travel. Let me know what you think of it. Well behaved might have been a stretch for my kids at that age. We had a rule: keep your hands on your own body! They were very good on the trip, but it was hard navigating Tokyo subways with a stroller and neither slept on the 14-hour flight until landing. We’re still glad we did it. Anmiryam, I’d love to hear your daughter’s reaction to INK. I SO want to visit Japan! It seems such a lovely place. What a nice picture of you all. You certainly put a lot of effort and thought into your reviews, Sarah. I love the way you balance them with a novel's negative as well as positive aspects. Most reviewers tend to focus on the beautiful text but omit important things like the inconsistencies in the MC's relationships with family and peers. I imagine reviewing on a regular basis helps you with your own character and plot development. 'Ink' sounds fascinating! Thanks for the wonderfully balanced review. And, of course ... love your pictures, as always!! Tina, you would love the gardens. It's too bad you were never posted there. W2W and Kelly, yes, I read critically to improve my writing. Although INK lacked back story, it was a strong debut. 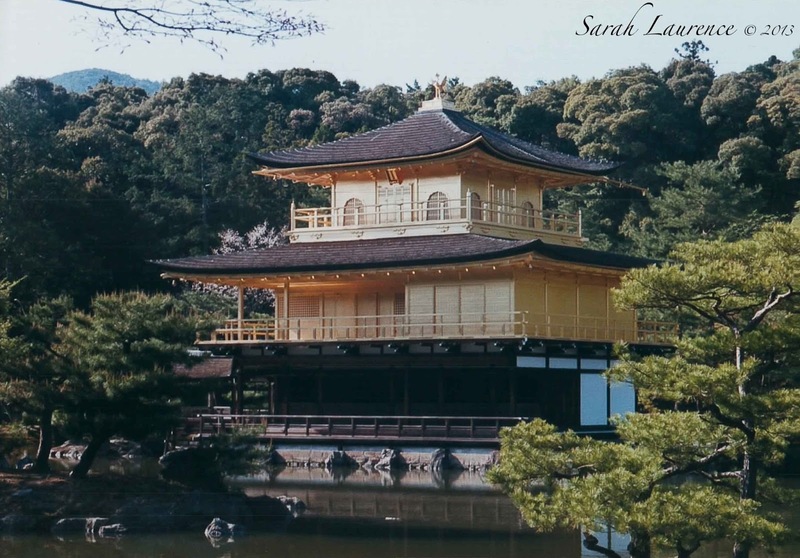 Beautiful photos and fine writing about your experiences in Japan. I was unaware that your husband taught Asian studies. One of the reasons your blog is such a must-read is your wealth of experience and respect for other cultures. Great review, as usual. Many thanks. This sounds like the perfect book for my oldest granddaughter, who loves fantasy, manga, and "Twilight." A YA book may be a little too "young" for her now, but if it crosses over well for adults, it might still be appealing to her. I've noticed, too, that there are some books I wish I'd read in hardcover rather than on my Kindle. Illustrations, especially, don't show up well on it. Hope you are having a great summer, Sarah! I can see there is a a special bond between your family and Japan, Sarah. Isn't it interesting that your husband teaches Asian Studies and Government and your brother fell in love in Japan? Your connections though were "well developed" to Japan. For me, this haunting land remains on my "bucket list." I'd love to read it! What intrigues me a lot is about Japanese mythology. I'm very curious about which myths are used in the novel. ACIL, thanks! I love the multiculturalism on your blog too. Rose, INK would appeal to Twilight fans. Petra, it is a marvelous coincidence that my husband can speak to our sister-in-law in her language. My brother and his wife speak Japanese at home with their kids. On our first date, Henry took me out for sushi and impressed me by eating octopus sashimi, tentacles and all. I knew we'd hit it off. troutbirder, Japan is a fascinating country. sapphire, I was hoping you'd see this post. You post the most gorgeous sakura on your blog. What made the sakura so special in Kyoto was the placement in the gardens. I'm not that familiar with Japanese mythology, but the author said she was inspired by the stories about the kami. I'm curious about how this book would be received in Japan. Do share your opinion if you read it.